The incredible Maltese archipelago is one of the most desirable holiday destinations for families and couples seeking a getaway in a beautiful, unspoiled destination. A world apart from the popular Mediterranean holiday hotspots of Spain, Greece and Southern France, the year round charms offered by beautiful Malta, this destination retains its own unique culture and aesthetic that has been barely marred by the influx of tourism over the last few decades. Until 1964, Malta was part of the British empire, which did have a significant impact on the country. Nonetheless, the main takeaway from this has been that the inhabitants of Malta mostly have an excellent command of English, perfect for those of us who prefer our native tongue on holiday. Taking away the language barrier means that there are little to no problems with communication. However, the primary language in Malta is, of course, Maltese. Along with a willingness to speak English, the Maltese are also generally very welcoming to tourists. Their kind, generous and hospitable nature adds to the positive experience of holidaymakers visiting Malta. The sense of being well looked after and welcomed goes a long way, particularly when far from home. 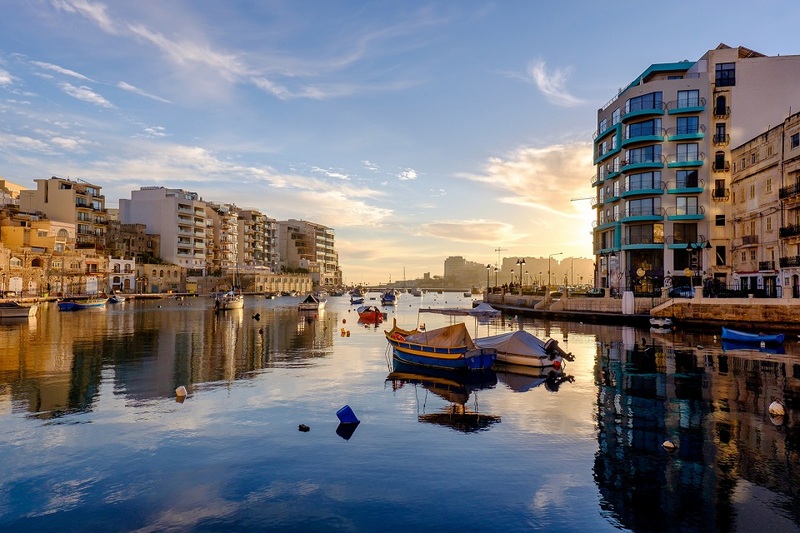 Beyond the accommodating people and prevalence of English, Malta, of course, is home to some simply stunning scenery, as well as a fascinating, ancient culture. A day trip to Mdina, and to the breathtaking Tarxien Temples, are a great way to immerse yourself in the rich history of Malta. But there’s much more than that. It’s very simple to find your way around using the public transport system. There’s even a ‘hop on, hop off’ bus tour on the go, which have a convenient route through other points of interest on a single ticket. Alternatively, of course, you can hire a car, which is easy enough too on these small islands. Crucially, if you’re not a timeshare owner, then there is a wide range of accommodation on offer. From 5, 4, and 3 star all-inclusives, self-catering apartments, hostels and villas, you’ve got the full choice you’d expect. The most popular resort locations are around St Julian’s, Sliema and the Bugibba.Qawra regions, along the northern coastline. Speaking of St Julian’s, it’s important to note that this is the top spot for those who like a bit of a lively night out on their holidays. As such, it’s perhaps not the best location for families and couples seeking a bit of peace and quiet on their holiday. Instead, try St Paul’s Bay or Mellieha for your base. Another point for the night owls: check out some of the unique open-air clubs on the island. These are really popular and loads of fun, for locals and fellow holidaymakers alike! Nightclubbing isn’t the only way to enjoy yourself in Malta, though. There are plenty of sports and activities for active types. Try some rock climbing, scuba diving, paragliding or windsurfing for a memorable Malta experience. Or why not hit the gym, tennis court or indoor pool at some of the larger hotels. With a fine selection of both lively, busy beaches and quiet, smaller beaches, Malta is a beach bum’s dream. Both Malta itself and Gozo, have so many lovely sandy beaches to choose from, you’ll be in heaven. Malta isn’t just about the main island. The sister island of Gozo is, there’s no other word for it, magnificent. With beautiful beaches and turquoise seas, as well as bucolic countryside views, the natural scenery on Gozo is hard to beat. In terms of sights to see: check out the Megalithic temples of Ggantija, and Calypso’s cave, which – fascinatingly – is thought to be a star location in Homer’s Odyssey. Gozo can be reached by direct transfer followed by ferry from Malta airport. Departing from the northern tip of Malta and arriving into Mgarr Harbour, it’s then just a simple taxi ride to accommodation anywhere on the small island. Located on Anchor Bay in the north of the island, even if your kids are too young to know who Popeye is, this still makes for a thoroughly enjoyable day out. The village is set on the side of the cliffs in a stunning bay and it is the home of where the legendary Popeye was filmed. You can wander the different little houses, be part of a film and go out on a boat ride. This shiny new aquarium can be found in the popular resort of Qawra. There are over 100 different marine life species to glimpse, including sharks, stingrays, sea horses and turtles. Outside the aquarium is a fun, nautical-inspired playground for youngster to let off steam. Also in Qawra, any youngsters interested in cars should make a beeline for the Classic Car Museum. Set in over 3,000 square metres, there are dozens of beautifully restored cars and memorabilia to feast your eyes over, dating back from the 1940s. The Playmobil factory in Hal Far makes the popular minifigures that are a love of all children across the world. A visit to the site is a must for any child during their stay in Malta. There is a shop and inside play area, where you can get to grips making mini sets. There is also a play area outside. One of the highlights of a visit here, however, has to be a tour of the factory, which is fascinating for anyone of any age. Located at Bahar ic-Caghaq, this is a must-visit place when the weather heats up and your littles ones want to cool down. There are tons of water-based activities on offer at this splash park, the largest in Malta, including lazy rivers, slides and a wave pool. There are smaller pools for very young children. It’s always great when you can find an attraction for kids that is both entertaining and educational, and Malta 5D is just one of them. This theatre in Valletta lets you capture the essence of Malta and its history on the big screen, in 3D, real life images, which also includes moving seats, water sprays, leg ticklers and air blasts! If you want to escape the heat outside, then step inside Eden Superbowl in the popular tourist resort of St Julians. This air-conditioned family attraction offers 20-lane tenpin bowling, big screen TV and video games, as well as pool and table soccer.